So, I recently made my 17th angel investment in an African startup, but it’s arguably one of the most interesting ones I have made. Firstly, it’s probably the first female-founded, female-led startup I have invested in. But it gets even more interesting. My investment thesis has always been founders first. Identifying passionate, committed entrepreneurs who have a dream and who have integrity. It is one thing that has never failed me. Even when it doesn’t provide financial returns in the short run, it provides ‘people’ returns in the long run as you never go wrong betting on adding value to people. It doesn’t mean the entrepreneur is perfect. No, far from it, most times it’s even the imperfections that drive their passion. What it means is that they are honest and will give this their best shot. It also means they are willing to be teachable! That sounds very cliché but it is almost the most important thing at the very early stages when you don’t have enough data to justify your gut decisions. Every early stage entrepreneur is going to struggle, but if they have integrity, and are willing to ask for help and to take help, then even if the business doesn’t succeed, the entrepreneur will succeed. But beyond the entrepreneur and their team is also the idea, its scale, and its potential impact. In this realm, I have never been about just a pure apps or marketplace investor. I like people at the center of my companies. I like companies solving real problems such that even before I get financial returns, I get feel good returns. It’s even more fulfilling if the product is human capacity development and that is why companies like Andela are a no-brainer. 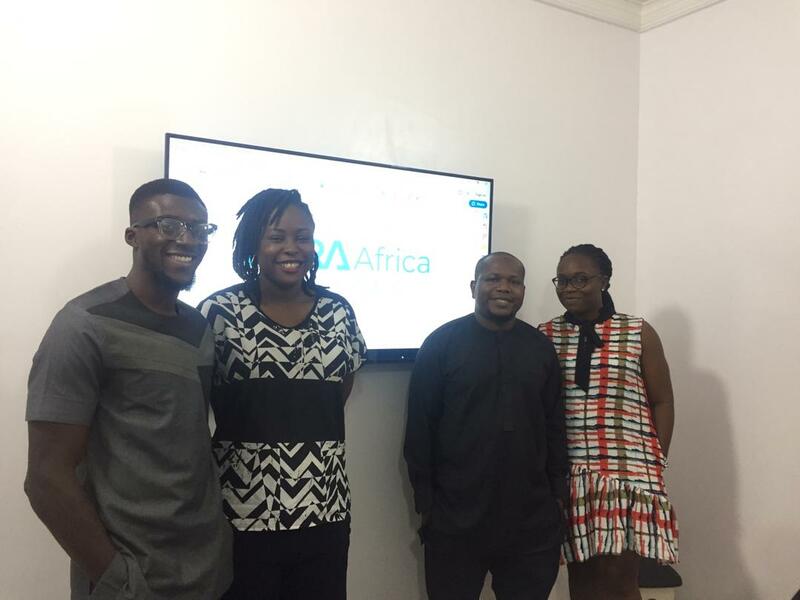 And if I may be allowed to use that phrase– it is one of the reasons why I made this recent pre-seed investment in the ‘Andela for Drivers’ – which TORA Africa is. 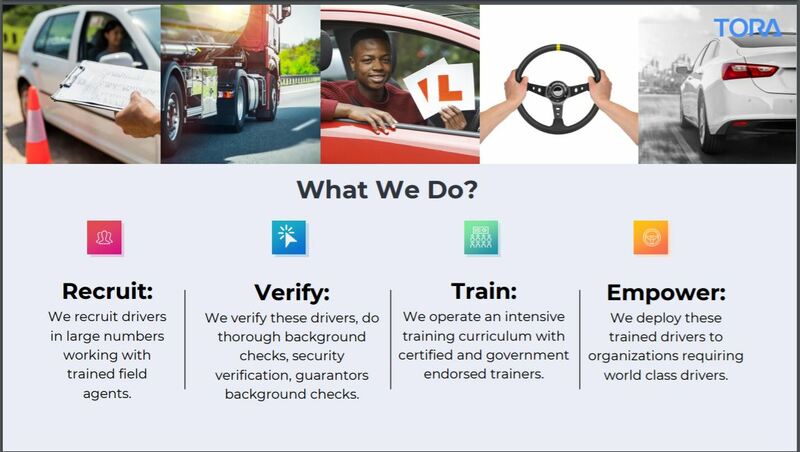 TORA Africa is an academy that recruits, trains, verifies, insures and provides background-checked drivers for individuals and businesses. Basically, it recruits and trains drivers for deployment to individuals and companies who need them. Whether as individual car drivers, Okada riders, fleet owners, truck drivers, we are always complaining about drivers, their lack of training, attitude, and myriads of other issues. Well, TORA is here to help solve that. We are big on training and retraining of drivers to meet 21st century driving standards. While this is not about coding or artificial intelligence or any of these new things you usually see me posting about, it is about erasing the concept of mediocrity in every profession as my late mentor Pius Adesanmi would have put it. This is about showing that being a driver should not make you subhuman or deny you of health insurance or turn you into a menace on the roads. And every trained driver/rider who makes the road safer because of TORA is a win for us. It is about realizing that a driver can be more about just driving. You can learn new skills that turn you into a logistics executive or a PA in addition to your driving skills. And that leads me to the third point, which is about my interest in the informal sector which makes up the greater population across Africa, especially the population that is at least secondary school educated but lacking opportunities in the economy. The International Labour Organization estimates that more than 66% of total employment in Sub-Saharan African is in the informal sector. So the goal here is to see how technology-enabled platforms like TORA might make this type of informal gigs more productive and of a better quality for workers themselves, hence accommodating the progressive inclusion of informal enterprise in the formal economy to generate value for all parties. While TORA is starting with drivers, my hope is that with time it extends to other aspects of the informal economy. Still very early days, but I am excited about what the team led by Roseline ,Ized, and Charles are trying to do around formalizing this sector, and enhancing people’s skills. I am therefore excited to welcome them to my portfolio and the extended Wennovation Family! Hello Africa, We are TORA! This entry was posted in Uncategorized and tagged Africa, andela, angel, cnn, Investment, ized, pre-seed, tora. Bookmark the permalink. 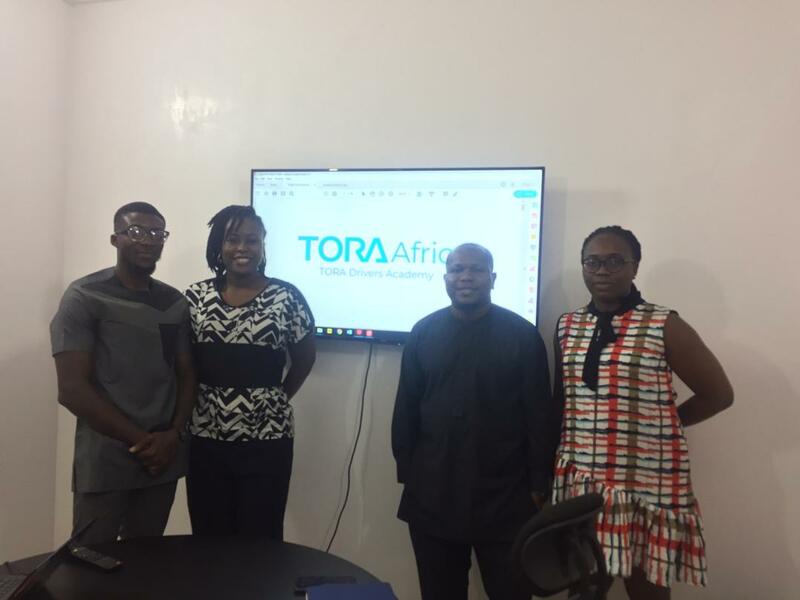 2 Responses to Why I am investing in my first female-founded African startup- We are TORA! Good job Idris. More grease to your elbow. Looks like the sky is the limit for these guys. Startups like this, if well nurtured, turns out to be a major hit in the informal sector. Kudos to the founders.